My guest this week on my weekly ‘All things Autism’ Women’s Radio Show was Dawn Avery. Dawn and her husband Keith were my first charity champion couple . They both cover the Essex region and were first involved with Anna Kennedy Online in May 2015 when their son Aston took part in ‘Autism’s Got Talent’. Dawn and Keith’s son Aston Avery is a young man who has overcome a great deal in his young life. Aston was diagnosed with autism at just two and a half. He also suffered from the bowel disease enterocolitis which leaves bowels and internal muscles not working and causes inflammation of the intestines. From the age of four he spent most of his life undergoing a number of operations to fix the digestive disorder before having a full colostomy when he was eleven. On top of all of this was his autism, making communication with the world around him a challenge at best, impossible in many cases. Seven years ago he joined La Danse Fantastique Theatre School, based at Basildon’s Salvation Army hall in Cherrydown West. This turned out to be one of those life changing moments for this exceptional young man. In time the discipline and hard work he put into his involvement with this charity began to improve his confidence and help him mix with his peers. This hard work and determination have been recognised by Anna Kennedy Online and Pineapple Performing Arts School where he has been awarded a scholarship for a second year running. Dawn shares: ‘I cannot thank Anna and Women’s Radio Station enough for inviting me on to the show. It gave me the opportunity to open up fully about Aston’s journey and to share some very intimate inner feelings with a wider audience. Raising awareness of autism and fundraising for very important causes has taken over our family life. Being able to share the path that lead us to this was both humbling and emotional. It is my feeling that if what we discussed on the show helped just one family realise they are not alone and that you can raise a positive from a negative then I feel it is a job well done. The support Aston has gained from becoming an Ambassador of AnnaKennedyonline and spreading autism awareness and acceptance has given him the opportunity to embrace his condition. Aston certainly is ‘Autistic & Proud’ . As a regional charity, Autism Anglia has observed the difficulties individuals with autism face with homelessness and gaining appropriate and timely support around their housing needs. There is a definite lack of understanding towards autistic individuals and a superficial judgement is often made about their capabilities. This prevents them being prioritised appropriately and effectively. We have been happy to work with Dr Anna Kennedy OBE UK Autism Ambassador, Founder UK Autism Charity AnnaKennedyonline on a recent homelessness case. Anna has kindly agreed to give her support to Autism Anglia, to a future project analysing the number of homeless people who are autistic. Someone can be vulnerable due to their physical or learning disability under the ‘Priority Need of the Homeless Code of Guidance for Local Authorities.’ However, this is down to individual statutory interpretation. For example in a recent case the Local authority commented on the individual’s ability to drive, making an assumption he was not vulnerable. Driving requires executive functioning whereas communication is multi-faceted. Being able to drive does not require emotional and social function, which autistic people can struggle with and therefore, both are not the same. “The Prevalence of Autistic Traits in a Homeless Population-April 10th 2018.” States- “Anecdotal evidence suggests that autistic people experience an elevated risk of homelessness.” -Therefore local authorities should look at processes to enhance levels of understanding to prevent this group from further vulnerability and risk. More than ever, this will be paramount with the introduction of Universal credit and all the complexities that brings. Local authorities should provide specific autism training to their staff and the necessary support that individual’s require when seeking housing advice in order to prevent homelessness. From our experience, we regularly observe little joined up working among statutory agencies and often, the autistic individual is the ‘ping pong ball’ between two bats. CEO of Autism Anglia, Alan Bicknell, says: “housing is such a basic need for people that anything we can do to improve the situation must help in some way.” We are about to extend an invitation to local housing organisations and councils to progress this issue. 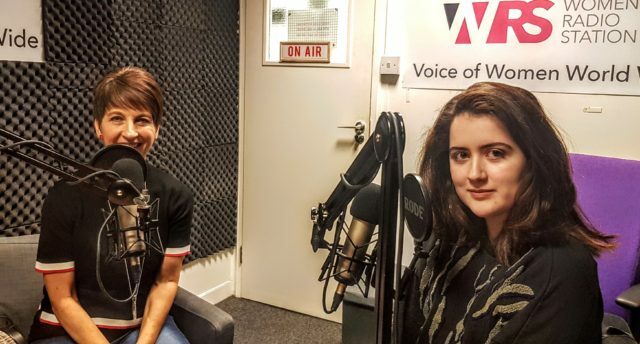 This week Anna Kennedy OBE’s guest on Women’s Radio Station ‘All Things Autism’ Show is one of her new young Charity Ambassadors Siena Castellon. Siena was one of the BBC Radio 1 three Teen Heroes of 2018. The outstanding young winners have all proven their dedication to helping others through selfless, brave and exceptional achievements. “I was diagnosed as being autistic when I was 12. My autism diagnosis was welcomed with open arms. I always knew I was different, I just didn’t know why. I finally had an explanation. My diagnosis allowed me to understand myself better. It also made me realise that I was not alone. Finding out that there are other people out there who are like me was very comforting and empowering. I recently signed a book deal with Jessica Kingsley Publishing to write a survival guide for autistic teen girls. I am really excited about this opportunity, because I wish there had been a practical and informative book written for autistic girls when I was growing up. Most of the existing books are written by neurotypical adults and are written for parents or for autistic boys. I will be covering topics, such as masking, social interaction, managing sensory issues, hygiene, self-esteem, mental health, dating and navigating social media. I am thrilled that the book will be illustrated by a female autistic artist whose work I love and that the foreword will be written by Dr Temple Grandin, someone who I greatly admire. It was important to me that I put together a female autistic team, which is not as easy as it may sound. In addition to being an autism advocate, I am also an anti-bullying campaigner. I’ve been bullied at school for most of my life. There have been occasions when the bullying was so intolerable that I’ve had to leave the school. In fact, I’ve had to leave three schools because of severe bullying. Being bullied has a devastating effect on you physically, emotionally and mentally. At one point I was so traumatised, I was diagnosed with bullying-related PTSD and was home educated. For me, the most difficult part about being bullied has been having schools look the other way or worse yet, blame me for being “different” or for not trying harder to “fit in.” It’s also hard when so many bystanders see the abuse and either ignore it or join in. I decided to become an anti-bullying campaigner when I learned that my autism-related bullying experience wasn’t unique to me, that 75% of autistic kids report being bullied. Last year, I served on the Diana Award National Anti-bullying Youth Board, which gave me a national platform through which to share my story and raise awareness of disability-related bullying. I recently launched my Neurodiversity Celebration Week campaign which aims to encourage schools to recognise and celebrate the strengths of their neurodivergent students. As a student who is autistic, dyslexic and dyspraxic and has ADHD, I know how demoralising our school day can be. The school day revolves around reading, writing and spelling, skills many of us really struggle with. We are often made to feel like failures. Many of our classmates assume we’re not smart, because we have special educational needs. I want to flip the narrative so that schools stop focusing only on the negative aspects of having learning differences, to also focusing on the strengths. It’s important that SEN students realise that just because you’re not acing school doesn’t mean you’re going to be a failure and will have no career prospects. Many successful entrepreneurs are dyslexic, many people in media and entertainment have ADHD and many scientists, mathematicians and computer programmers are autistic. CORNWALL Council has today been named and shamed by autism activist Anna Kennedy OBE after the council told an autistic man with numerous health conditions that he was ‘not a priority’ for housing. Dominic Clark Campbell, 46, has been sleeping rough on a street bench for just under a week. 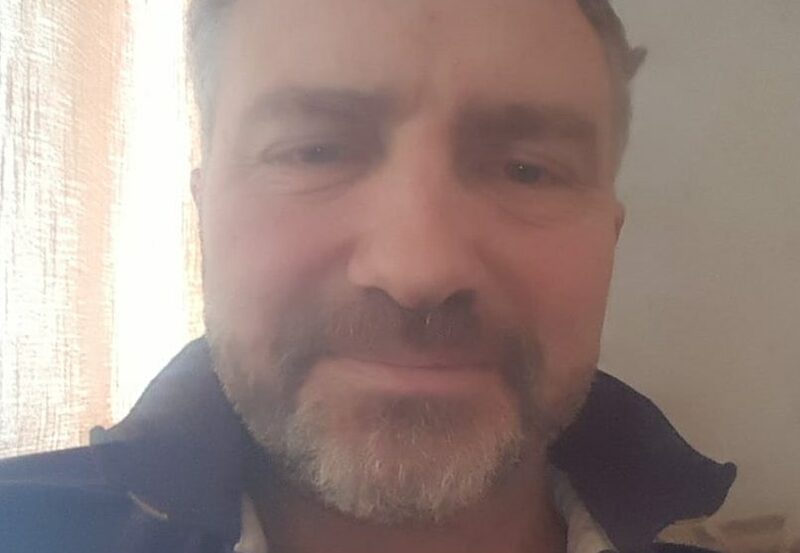 Mr Campbell approached Cornwall Council in a desperate plea for some support after losing his job due to ill health but was told he was not a priority. “The council should have a plan B, especially for those as vulnerable as Dominic. It’s people like Anna that keep my faith in humanity because right now our politicians and councils are only looking inwards, yet these are the very people employed to be dealing with this kind of thing. Anna has since set up a fundraising page for Dominic to get him a little support, the initial goal was £500, but this has since risen to £1,400. Anna has also paid for him to have three nights at the local Travelodge in the hope that something can be sorted for him quickly.We are awaiting formal comment from Cornwall Council. You can donate to the Fundraising Page, by clicking here. 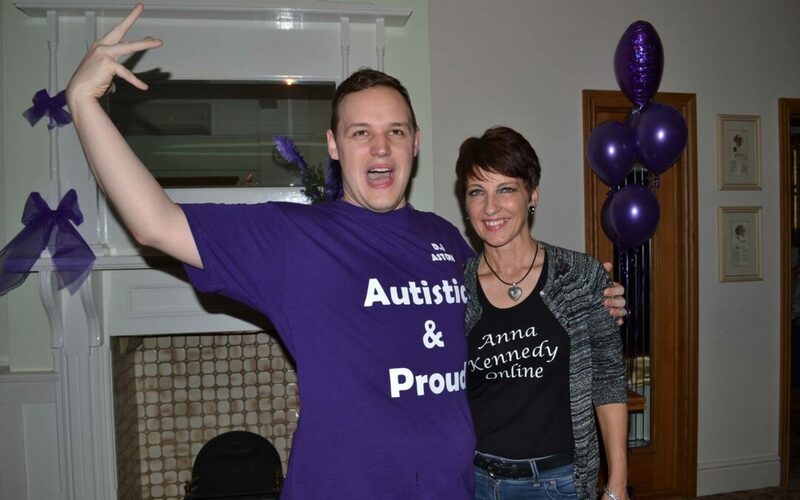 The Autism Podcast – Episode 6 – Interview with Anna Kennedy OBE! The Autism Podcast, delivered by the London Autism Group Charity, is the definitive autism related podcast. The podcast aims to improve our understanding of autism, boost acceptance, reduce autism stigma, and generate impact, transformation ideas ranging from practical everyday advice to thoughts on policy, practice, and wider socio-cultural challenges. Dr Chris Papadopoulos talks with Anna Kennedy OBE, one of the most well known autism campaigners particularly in the UK. Anna talks about her extraordinary personal story and life including how she entered the world of autism. She then explains the various work she and her charity are involved with including schools and respite centres she set up, the Give Us A Break campaign, Autism’s Got Talent, the Autism Hero Awards and AKO Autism Expo, and her thoughts on why and how her charity has been so successful.